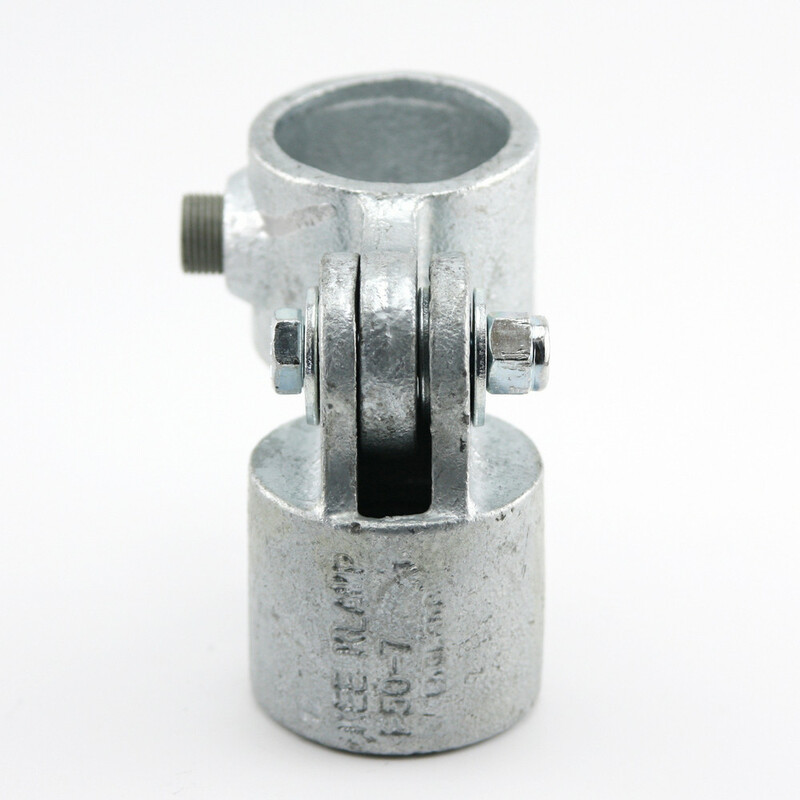 The C50 is joined together with a rivet. 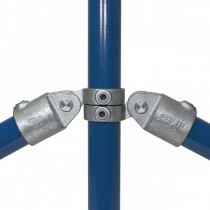 This allows the two fittings to swivel freely. 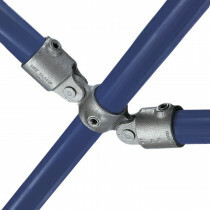 The C50B is joined together with a bolt kit. 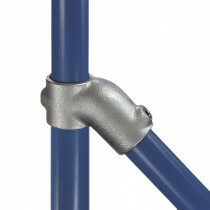 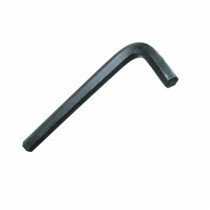 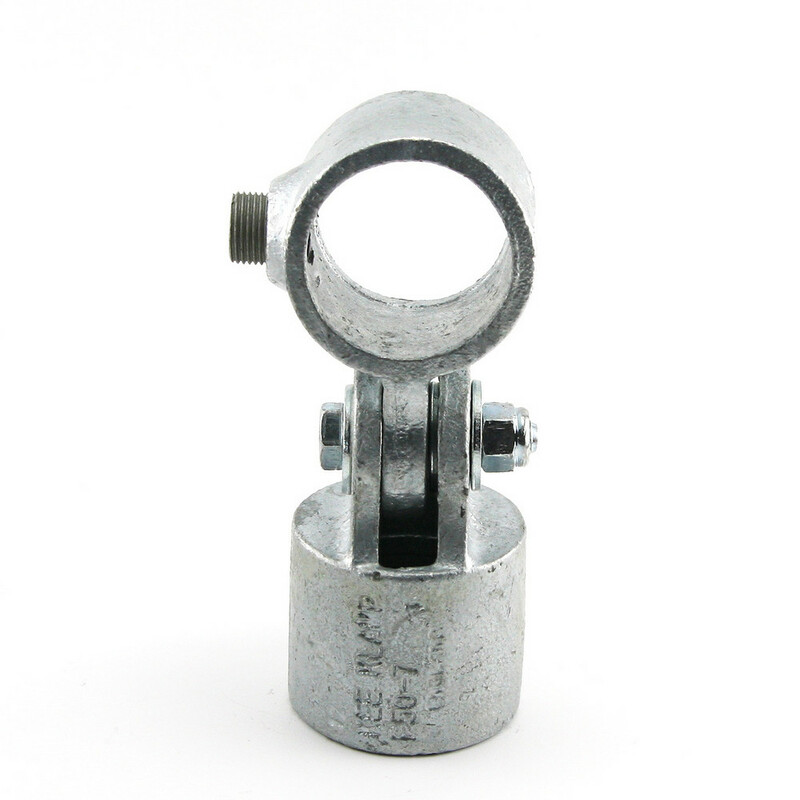 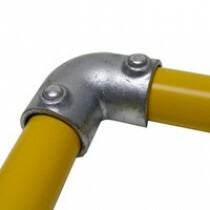 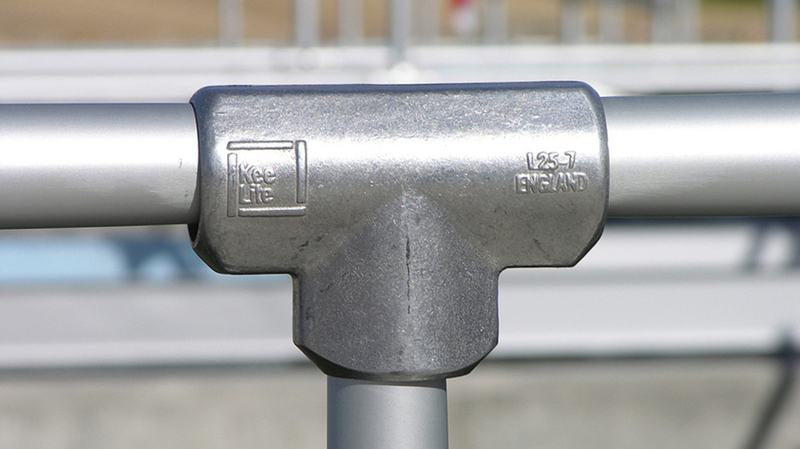 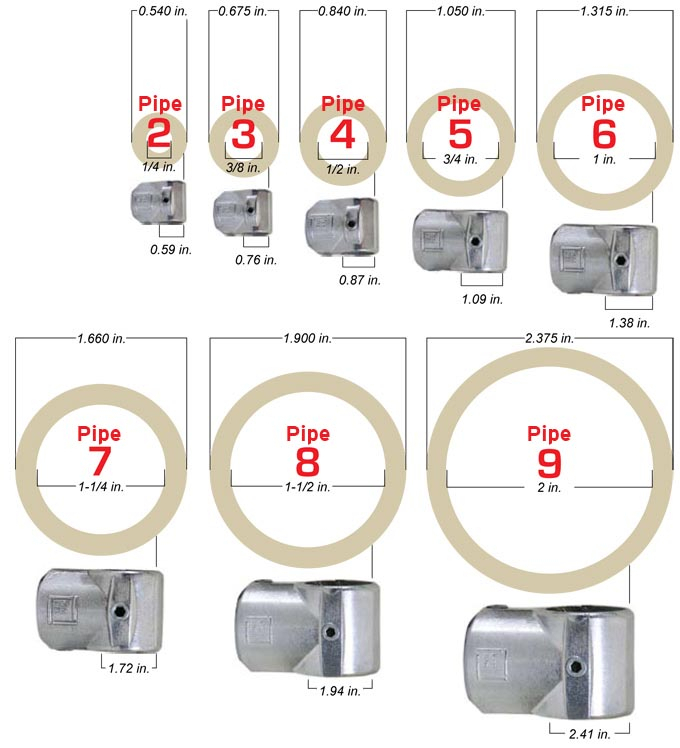 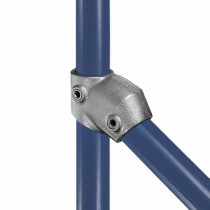 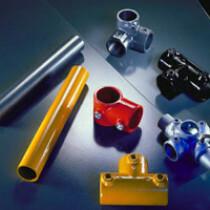 This allows the two fittings to be tightened together into a fixed angle. 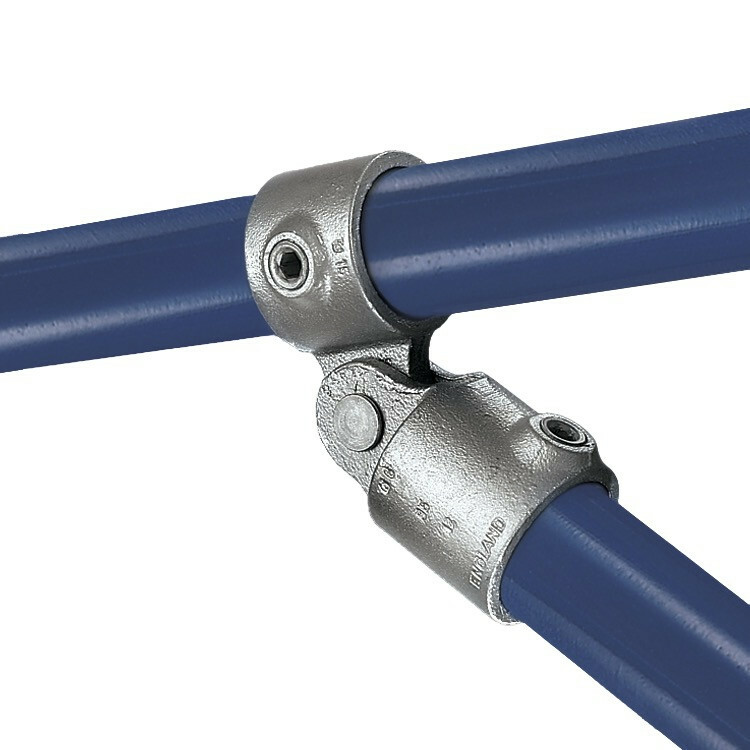 Note: The primary purpose of the C50B is to reduce the movement between the F50 and M50 fittings in a railing application. 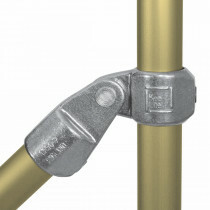 The C50B needs to be used between at least two fixed posts/uprights or fixed connections, and should not be used to cantilever. 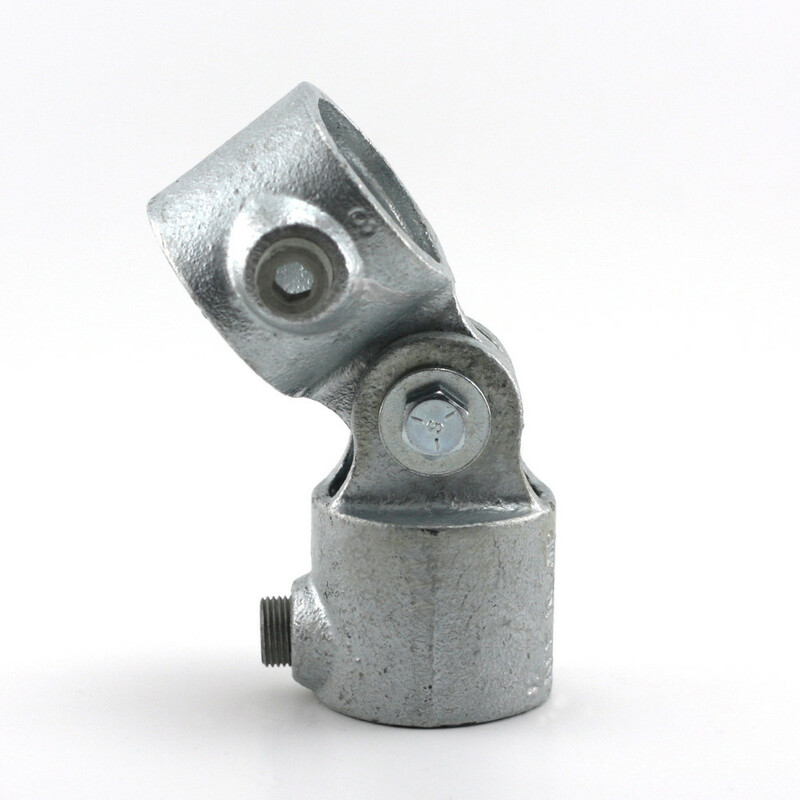 The C50 is typically used to create angular supports and braces within a structure. 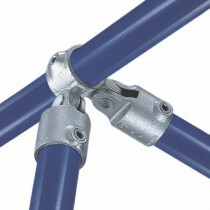 The C50B is used whenever a tighter swivel connection is desired. 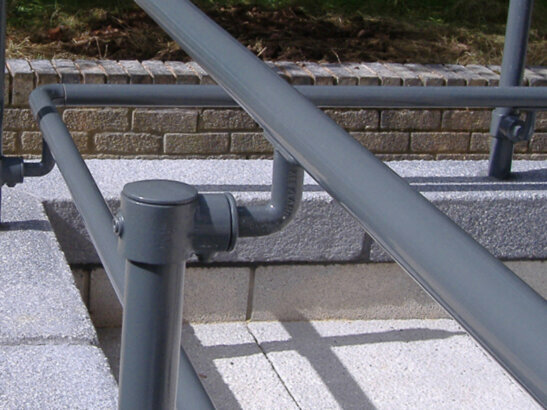 We recommend using the C50B for swivel socket handrail applications such as our Surface C50 handrail kit. 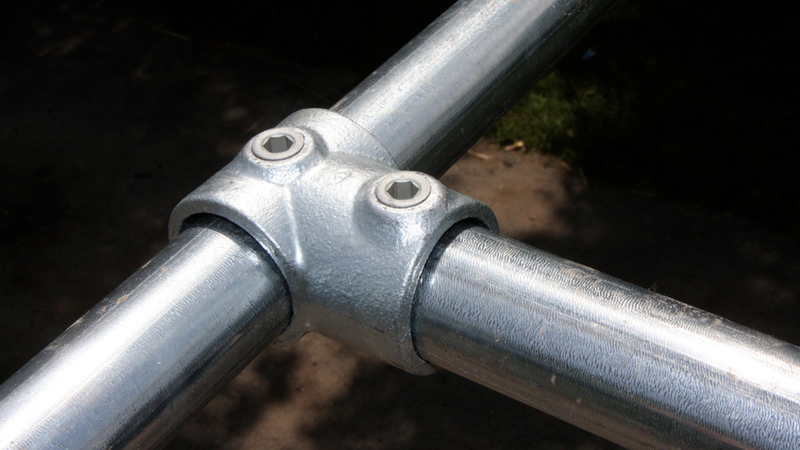 The standard C50 comes preassembled with the rivet already in place. 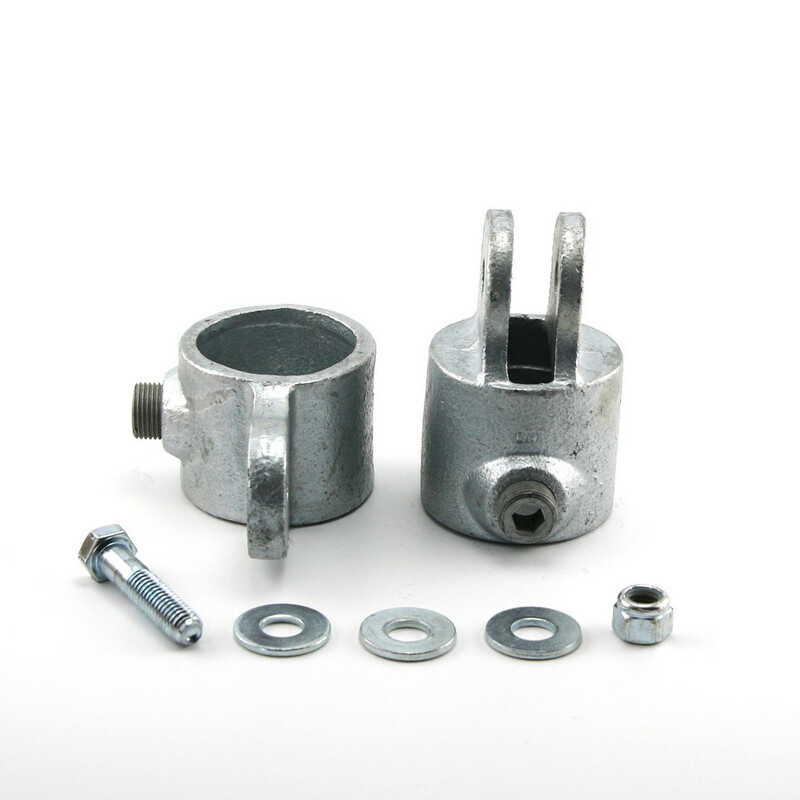 The C50B comes with a bolt kit to join together the F50 and M50 components. 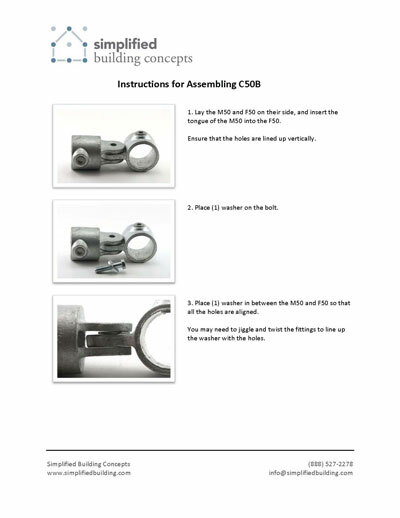 Download these directions for step by step instruction for assembling the C50B. 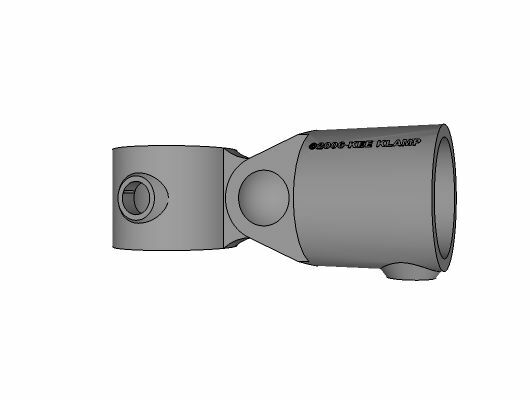 The technical data for the individual components of the C50 can be found here: M50 and F50.